Iran wants to buy 500 planes and resume flights to U.S.
Iran will need hundreds of new aircraft as it rejoins global aviation networks, a move that could include direct flights to the U.S. for the first time in 36 years. Years of sanctions have left Iran's airlines with outdated and unsafe aircraft. With those restrictions now lifted, Iran is looking to spend heavily with Boeing (BA) and Airbus (EADSF), Iranian transport minister Abbas Akhondi told CNN. "We think [we need] about 100 short range fleet for our local flights. And for international flights about 400 fleet, who can do the middle and long range flights," Akhondi told CNN at an aviation conference. "Iran will compete in 5 to 7 years with all the major regional airlines." Airbus and Iran have reportedly agreed in principle to a deal for 114 aircraft. An Airbus spokesman told CNN: "We do not comment [on] any of our talks with existing or potential new customers." Iranian President Hassan Rouhani is in Europe this week and a deal with Airbus could be confirmed when he visits Paris on Thursday. Iran is already discussing the resumption of flights to the U.S., which were suspended in the wake of the Islamic Revolution in 1979 when the country's western-backed monarchy was overthrown. 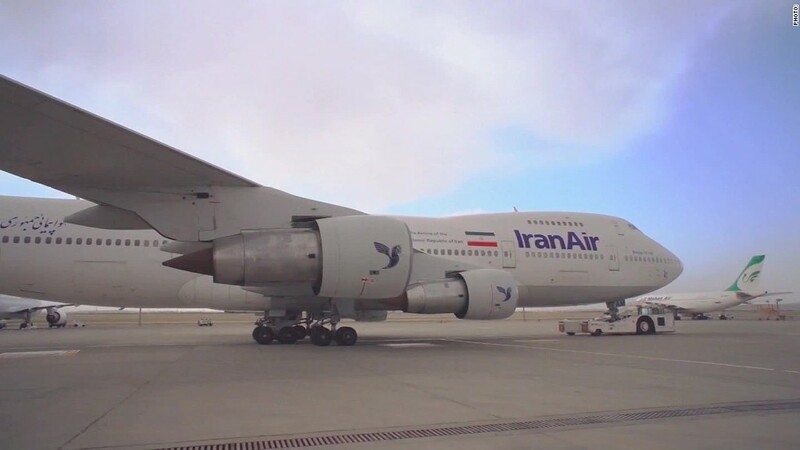 "Iran Civil Aviation Organization is conducting talks on direct flight between Iran and the U.S.," state news agency IRNA quoted Iran Air chairman Farhad Parvaresh as saying. "Daily flights to New York used to take place before the Islamic Revolution, and they will hopefully get resumed in the near future." With many sanctions being lifted after a deal to curtail its nuclear activities, Iran is hosting numerous business leaders looking to take advantage of an expected boom in the country's economy. Iran is also keen on boosting tourism as soon as possible, given its return to world oil markets won't be as lucrative as it may have hoped due to the price crash. "The price of oil has a big effect on our economy. But 90% of our investment in tourism is done by the private sector. And the private sector started investing even during the sanctions," Akhondi told CNN. British Airways could be one of the first western airlines back in. "We are very interested in flying to Tehran and we are hopeful that it will form part of BA's network in the very near future," Willie Walsh, the CEO of BA parent IAG, said at a conference in Dublin.